Patients with relapsed blood cancers after allogeneic stem cell transplant are often treated with donor lymphocyte infusion (DLI), a type of immunotherapy that boosts the anti-tumor response and aims to induce cancer remission. The success of DLI varies from patient to patient. 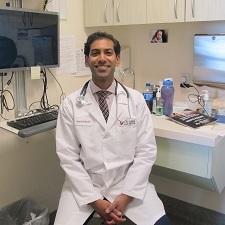 Dr. Bachireddy aims to investigate the determinants of DLI success and failure by studying the leukemic and immune cells during response to immunotherapy. Careful study of successful anti-tumor immune responses may reveal insights into tumor-immune interactions that may be relevant to predicting patient response to novel immunotherapies in other tumors. Project title: "Coevolution of tumor and T cell heterogeneity following immunotherapy"
Chemotherapy and hematopoietic stem cell transplantation (HCT) can cure otherwise deadly cancers such as leukemias and lymphomas. Unfortunately, there are many serious complications associated with these aggressive forms of therapy. A significant proportion of these complications have been associated with alterations in the microbiome - the bacteria, viruses and fungi that naturally live within and on us. 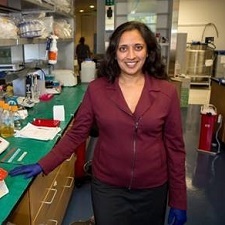 Dr. Bhatt applies cutting-edge molecular, microbiology and computational biology approaches to understand how the microbiome may mediate these serious complications. In her bench-to-bedside and back research, the safety and effectiveness of live bacterial therapies (probiotics) will be explored. Project title: "Applying microbiome-based therapeutics in cancer patients"
Multiple myeloma (MM) is an incurable cancer of blood cells. It evolves from monoclonal gammopathy of undetermined significance (MGUS), a pre-malignant condition affecting 3-5% of individuals older than 50 years. MGUS patients progress to MM at a rate of 1% per year and the mechanisms underlying such transformation are unknown. No genetic driver mutations have been identified in MM to date, thus limiting our therapeutic options. Signaling through the transmembrane receptor Roundabout1 (ROBO1) is important in solid tumors, particularly gastrointestinal cancer. In MM, ROBO1 expression level was found to correlate with adverse survival in newly diagnosed patients, and ROBO1 mutations have been recently identified in patient-derived MM cells. Dr. Bianchi aims to investigate whether ROBO1 is sufficient to promote disease pathogenesis and to identify the downstream signaling molecules responsible for its function. 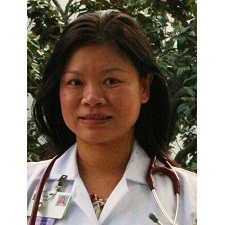 She anticipates that her results will provide new insights into disease biology and the basis for development of biomarkers and novel therapies against MM and/or precursor conditions, allowing for rapid bench-to-bedside translation. 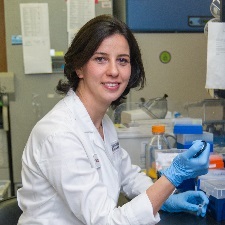 Project title: "Molecular mechanisms of ROBO1 in multiple myeloma pathogenesis"
Dr. Bonifant is studying how best to direct the immune system to combat acute myeloid leukemia (AML), a blood cancer of both children and adults. By specifically directing T immune cells to AML, she hopes to make therapy stronger and more effective, while also reducing toxicity. 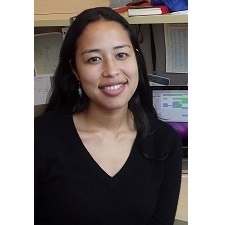 She is exploring the activity of T cells targeting multiple AML-specific antigens that do not affect normal cells. The ultimate goal of the work is to develop new strategies to treat AML. Project title: "Dual-antigen targeting by ENG-T cells as improved anti-AML therapy"
Dr. Bowman focuses on acute myeloid leukemia (AML), which can be characterized by successive development of genetic mutations. While some mutations are found in nearly every cell of the disease, others are found in sub-populations and are thought to arise at later stages of disease development. It remains unclear if these late mutations are necessary for leukemic progression and are actionable therapeutic targets. 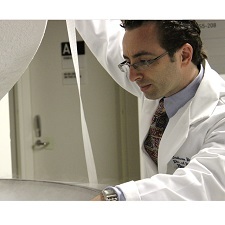 He aims to develop models to test the oncogenic dependency of one of the most commonly mutated genes in AML, FLT3. Further models will be developed to understand the role of mutation order in disease development. Project title: "Interrogating the subclonal architecture and functional contributions of mutation order in FLT3-ITD mutant AML"
Dr. Brody aims to develop a novel treatment approach for patients with advanced-stage lymphoma, by which the patient's immune system is trained to recognize and eliminate his/her own cancer. This approach, an "in situ vaccine," recruits and activates specific immune cells, dendritic cells (DC), at the location of the treated tumor - where they can then educate the rest of the immune system to recognize and eliminate tumors throughout the body. The first patients enrolled on this clinical trial have already shown the recruitment and activation of DC within the treated tumor as well as regressions of lymphoma at sites distant from the treated site. The in situ vaccine will initially be tested in patients with low-grade lymphoma, with the goal of quickly expanding to other tumor types including melanoma and head and neck cancer. 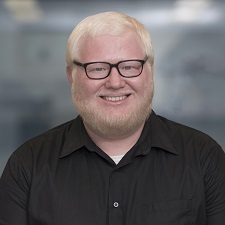 Project title: "Flt3L-primed 'in situ' vaccination for low-grade lymphoma - Phase I/II study of intratumoral injection of rhuFlt3L and poly-ICLC with low-dose radiotherapy [NCT01976585]"
Dr. Brooks is analyzing cancer genome sequence data to identify DNA mutations that affect RNA splicing, a form of gene processing and regulation. 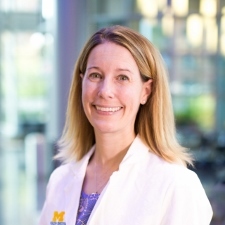 By characterizing these mutations, her work will provide further understanding of the role of splicing alterations in cancer as well as insight into the functional consequences of cancer mutations. Project title: "Characterizing somatic mutations that affect mRNA splicing in cancer"
Hematopoietic stem cell transplant is the preferred and only curative treatment for most patients with acute myeloid leukemia (AML); however, a significant percentage of patients will eventually relapse. A novel effective therapy option is therefore urgently needed. Dr. Budde [The Jake Wetchler Foundation for Innovative Pediatric Cancer Research Clinical Investigator] is testing a new strategy that uses patients' own immune T cells, which have been modified to specifically target and kill leukemia cells. She will direct a Phase 1 clinical trial using these modified immune T cells as therapeutics for patients with AML. This trial is a first-in-human study building on her extensive preclinical research on these cells. She is also developing ways to enhance the potency of these modified immune cells in killing leukemia cells. This therapeutic approach has the potential to change the treatment paradigm and may significantly improve the cure rate for patients with leukemia. Project title: "Targeting CD123 using chimeric antigen receptor T cells for treatment of acute myeloid leukemia"
Cutaneous T cell lymphoma (CTCL) is an incurable cancer of the immune T cells in the skin. In advanced disease, the cells escape into the blood, the lymph nodes, and at times the visceral organs. Patients with advanced disease eventually succumb to a combination of tumor burden and disease-related immunosuppression. 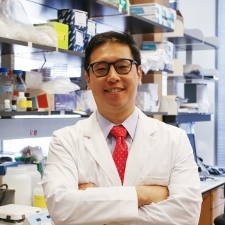 Dr. Choi [Doris Duke-Damon Runyon Clinical Investigator] has recently used next generation sequencing to identify gene mutations that he hypothesizes are important for CTCL pathogenesis. He will molecularly dissect how these gene mutations alter signaling pathways in CTCL, using human models and patient samples. 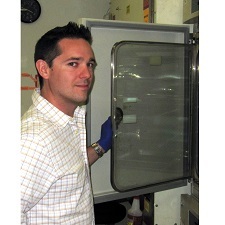 His ultimate goal is to identify novel therapeutic strategies that selectively target CTCL cancer cells, hastening the development of a cure for this intractable disease. Project title: "Identification of the genetic basis of altered T cell receptor signaling in cutaneous T cell lymphoma"